School Council elections have taken place in each class and the councillors for the year 2017-18 are as follows. All children took part in the democratic process and the councillors will now represent the views of their classmates in fortnightly meetings, supported by Mrs Kate Stuart. 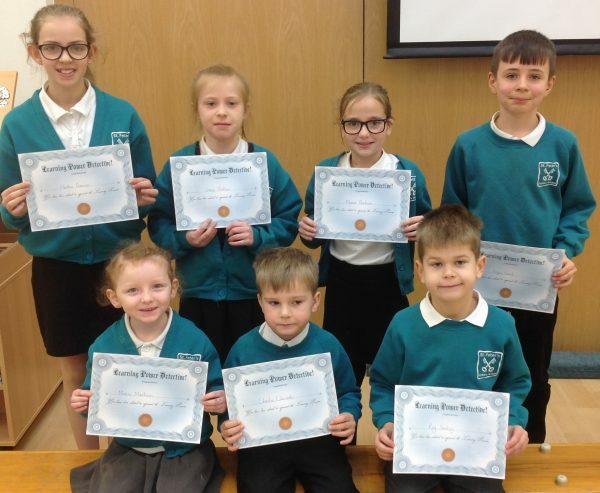 St Peter’s are proud to announce the Learning Power Detectives. After a long application process one representative from each class were chosen. Some of their jobs are to monitor the Gem Powers, tally which Gem is used the most and to make sure that all Gem Powers are being used in the playground and around the school. We are excited about our new role!